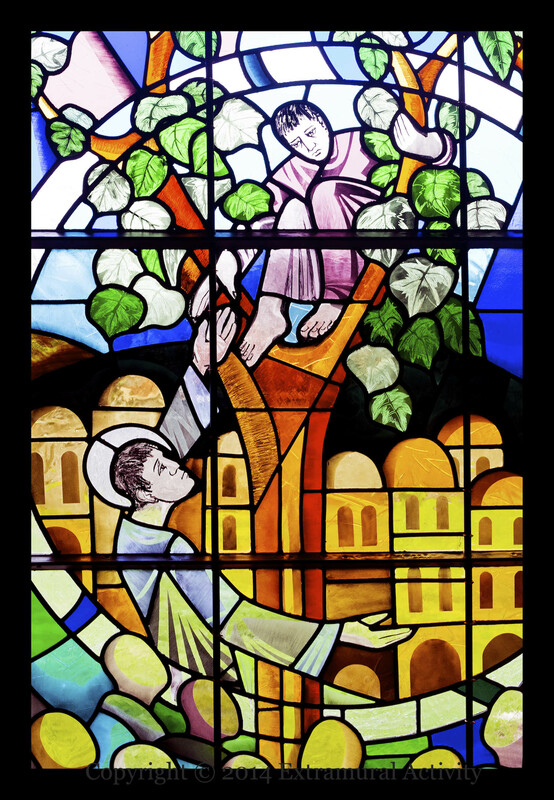 This stained glass window from Ravensdale Chapel just across the border in Louth depicts the story in Luke’s gospel (19:1-10) in which the tax-collector Zacchaeus, small of stature, climbs up the sycamore tree in order to see Jesus pass by. 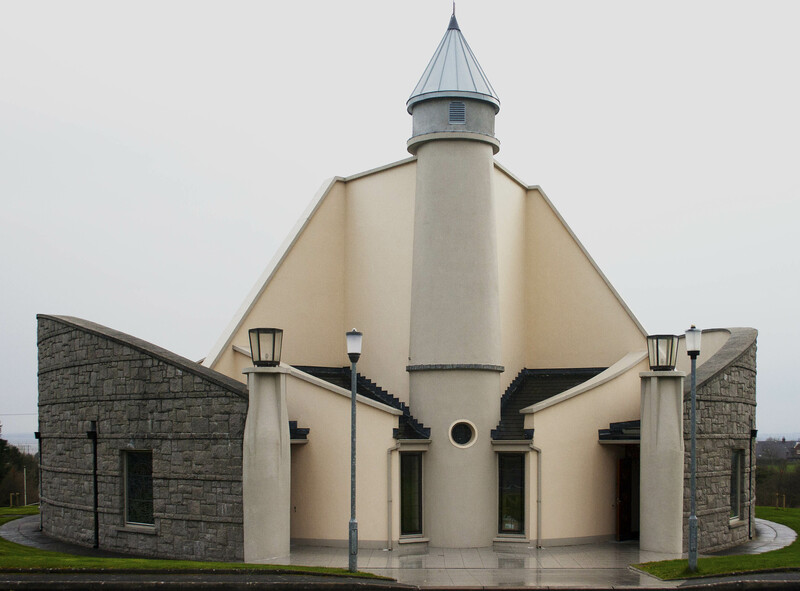 The chapel, shown below, is itself shaped like a lighthouse. Previously: stained glass in Belfast City Hall and in An Cultúrlann.